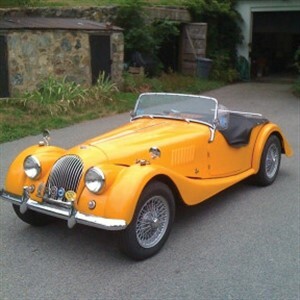 This RHD Morgan was treated to a comprehensive ground-up restoration completed in 2009. Chassis #B1247, restored as an all aluminum car [save cowl and scuttle] as per factory records. Reluctant sale dictated by advancing age, too small a garage plus inability to drive two cars at once and uninterested sons. Asking $40,000 or ono. For further information or to arrange a visit, contact David Crandall at 978-223-5081 or mogdriver@gmail.com. Serious inquiries only please.